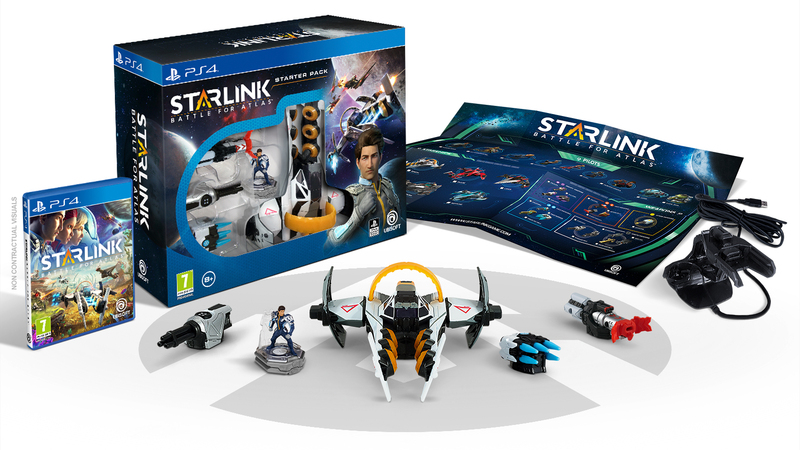 In 2016-17 Ubisoft and Spark Innovations collaborated on creating and delivering production ready 3D CAD models of a number of toys for Ubisoft’s New video game IP featuring modular starship toys – Starlink: Battle for Atlas, launched in October 2018. Spark’s team was tasked with modeling and detailing 3D production models using Solidworks and CATIA. All of the work we did was derived from Ubisoft’s own concept art. 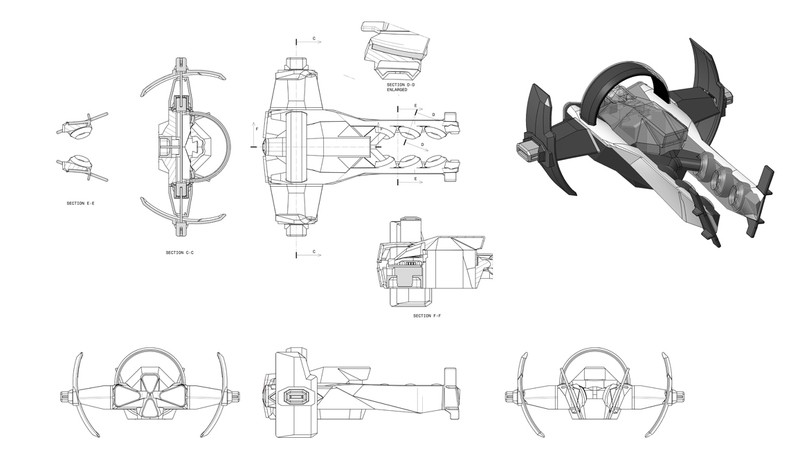 Ubisoft provided Spark with artistic illustrations of several ships, wings and Weapons. Each model was depicted by Ubisoft’s digital artists in 2D using standard views, front, back, left, right top, bottom plus two perspective views. 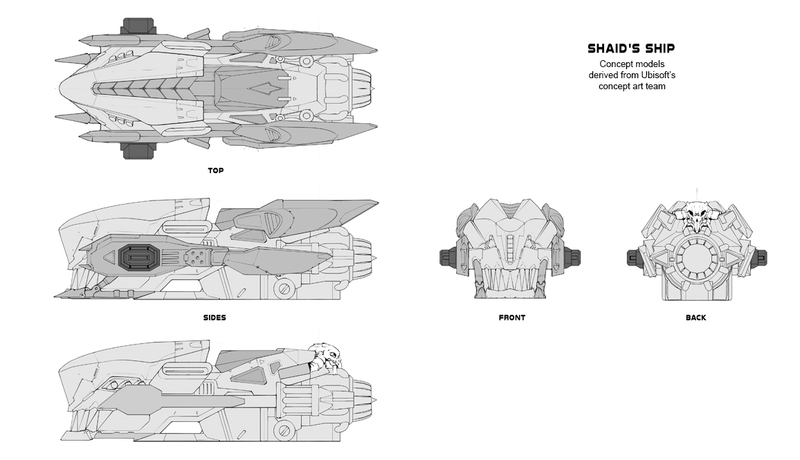 Colour and greyscale illustrations were used to help better convey the surfacing details. The first step for our team was to import each standard view we were given into 3D CAD software and translate all the detailed lines and shapes into a crude 3D model, while trying to maintain the aesthetic captured by Ubisoft’s talented artists. These models were then 3D printed and reviewed by both teams. Every model had a unique design style and posed its own set of production and visual challenges that required constant review and modification to achieve the look and feel of the original concept while at the same time deliver a structurally sound product. Spark achieved all the goal requirements by progressively develop several stages of CAD models, from simple forms to complexed surfacing designs. 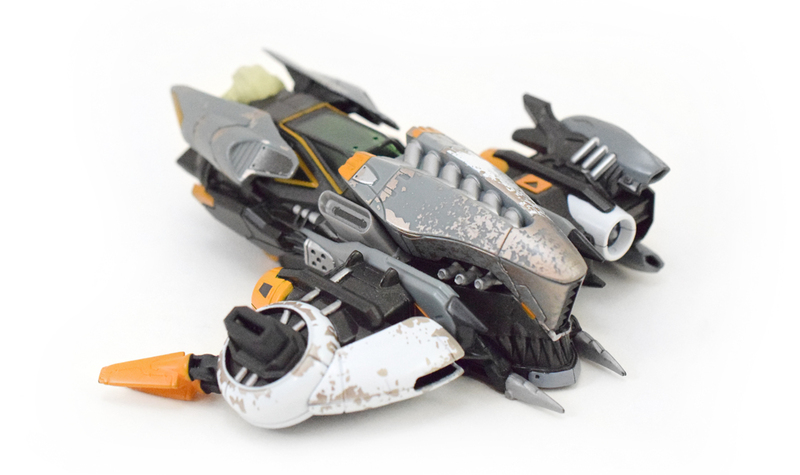 The final delivered CAD models were used in the production process to create injection molded mass produced components for these unique toys. 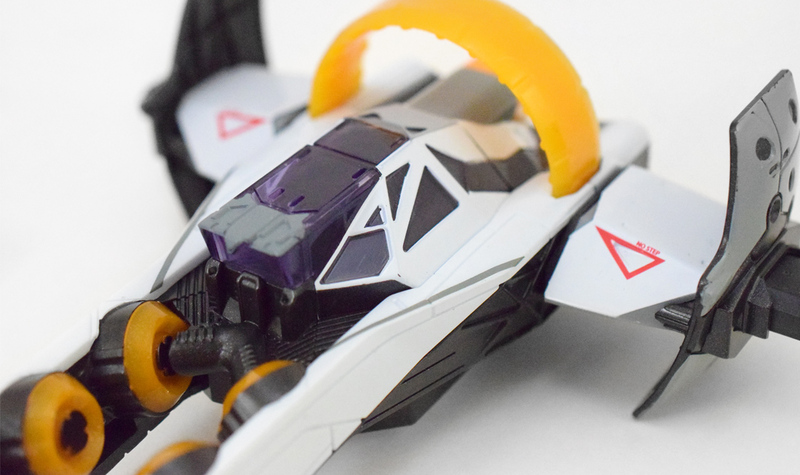 Combined with Ubisoft’s hardware and software technology, these models play an integral role in this distinct toys to life genre game.